Dead Horse Point State Park was one of the truly “wow” moments of the trip. It has a small park with a Visitor Centre and a single road to an overlook. Nothing can prepare you for the sheer enormity of the view. You can stroll along the Rim Walk, towering 2,000 feet directly above the Colorado River at evening time and capture a fabulous Sunset at Dead Horse Point Overlook. The mesa that is Dead Horse Point provides breathtaking views of the canyon country of south-eastern Utah and the pinnacles and buttes of Canyonlands National Park. 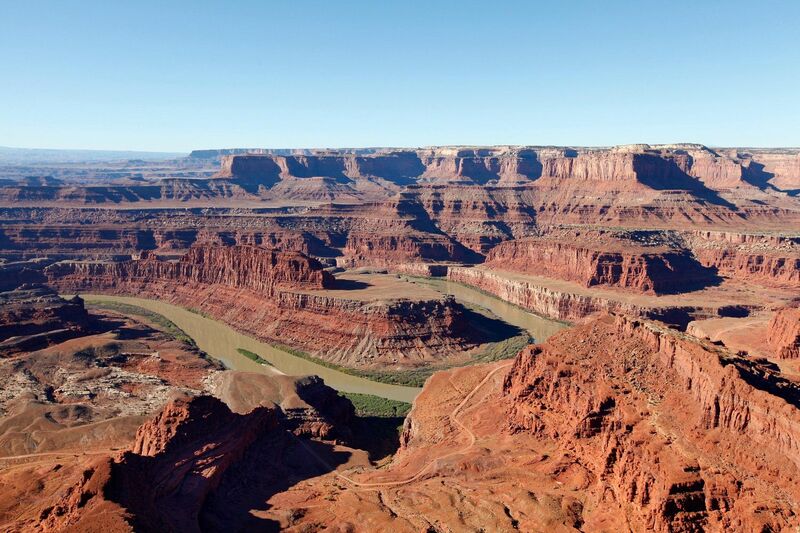 The Legend of Dead Horse Point goes that some cowboys corralled wild mustangs on the Point, then chose the horses they wanted. One time, for some unknown reason, horses were left corralled on the waterless point where they died of thirst within sight of the Colorado River unreachable below.